If you’ve ever had a pinched nerve in Grandville, Michigan, you know that this condition can cause a lot of pain. However, there’s a physical therapy team nearby that can help you find pinched nerve pain treatment. At Advent Physical Therapy, our team has been helping Grandville, Michigan residents find the physical therapy they need for more than 20 years. One thing that separates our team from the rest is our commitment to finding the therapy that works best for you. We know that everyone experiences medical conditions and injuries differently. This is why our team will take the time to listen to your questions and concerns about your condition or injury. We’ll then use this information to build you a personalized therapy plan that includes answering your questions and addressing your concerns. This personalization and commitment to your care are the reasons our plans for things like pinched nerve pain treatment may be more effective for you in Grandville, Michigan. Our Grandville, Michigan team is well aware that pinched nerves can cause you a lot of pain. We also know that treating the underlying cause of your pinched nerve is the most effective way of dealing with this condition. 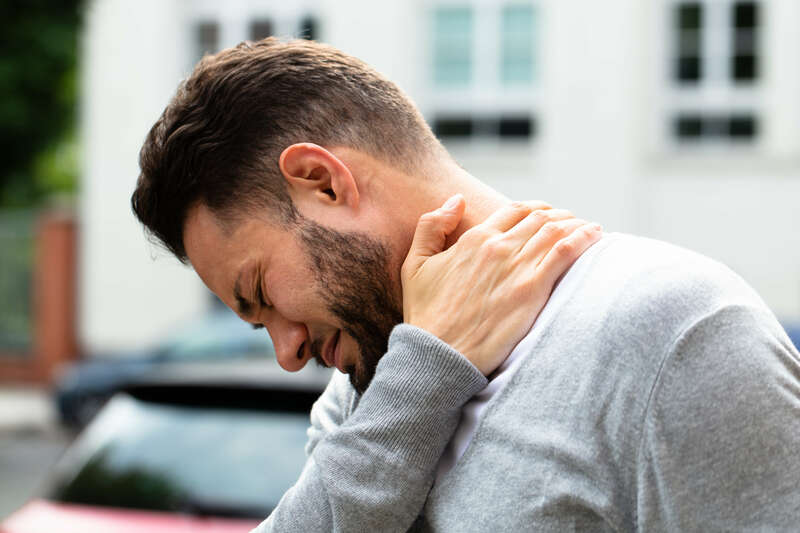 Pinched nerves can happen in a variety of places in your body, but our team encounters them most often in areas such as the neck and lower back. We know that nerves are often pinched in these areas because there are many other structures around them. Structures like muscles, bones, ligaments and tendons surround the nerves in your neck and lower back. Our team knows that the misalignment or inflammation of such structures can cause them to pinch one of your nerves. For instance, our team often sees pinching of the sciatic nerves in the lower back when back muscles or vertebrae are inflamed or not aligned properly. Our team at Advent Physical Therapy is ready to help you with pinched nerve pain treatment. We’re also ready to help you get as many benefits from your treatment as possible. However, there’s one thing you’ll need to do to get our help for your pinched nerve.